← Hard on the hands. 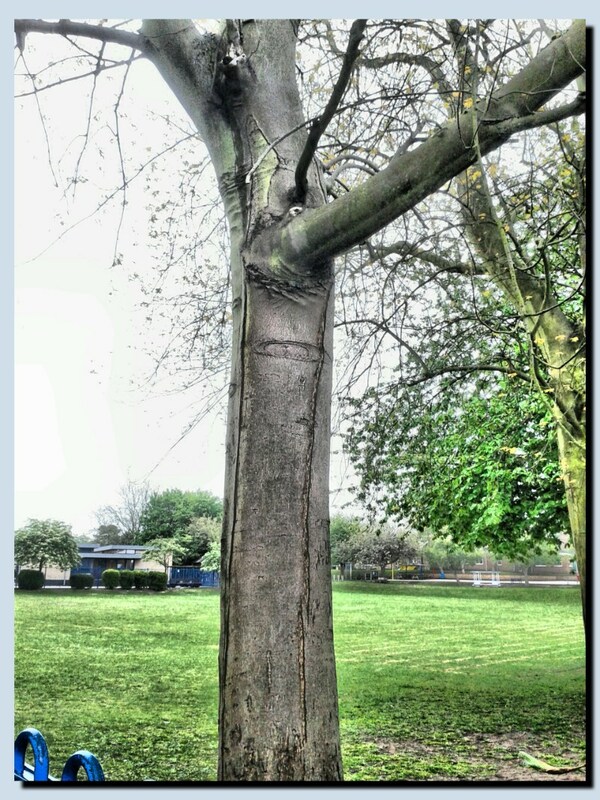 ,A London Plane tree, near a school. This tree tells a story, those long vertical splits in the trunk are not common to this type. I suspect a long seasonal drought one year, followed by a substantial period of rain. My hypothesis is that during the dry time, the whole tree contracted. When the rain did come, there was not enough flex in the bark to avoid the splitting we see here. The tree has recovered, I’m glad to say. Spring in 2012 followed that pattern. This year could do the same. So far we’ve had the driest 6 months for 20 years.